Teesside University is celebrating after its students claimed four out of the five student prizes at the prestigious Royal Television Society awards ceremony. The Royal Television Society North East and Border 2018 awards, hosted by Sky News presenter Jayne Secker, recognised achievements in broadcast journalism, production, writing and technical skills. Students nominated for the awards had the chance to rub shoulders with celebrities including acclaimed actress Brenda Blethyn OBE, Journalist, Presenter and Celebrity Big Brother star India Willoughby and Bread and Coronation Street favourite Melanie Hill. 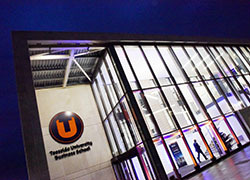 Teesside University students dominated the student awards section of the evening, taking home four awards, winning the Animation, Comedy and Entertainment, Drama and Factual categories. 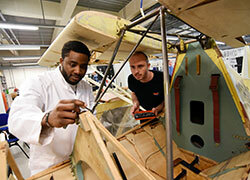 Regional Student Award: Factual for The Run, created by Kathryn Dowson, Junaid Iqbal and Judyta Kulpa. These prestigious awards showcase the exceptional work our students are doing while they are here and provide them with an excellent platform for when they graduate. Jonathan Tillson’s ‘Slalom’ was also recognised at the University’s ExpoTees awards in 2017 and Jonathan is now working as Technical Animator in Canada. ‘Slalom’ is a short, character-driven animation which used rollerblading as a medium for expression through dance. 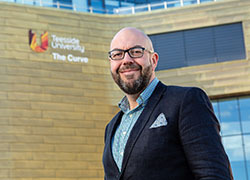 Dr Simon Stobart, Dean of the School of Computing, Media & the Arts, said: 'I am delighted that so many of our students and graduates were recognised at the regional Royal Television Society awards. The student winners of the 2018 Royal Television Society North East and Border awards now go towards the national student awards taking place on Friday 22 June. Teesside University students and graduates scoop four awards at the North East and Boarder Royal Television Society awards. 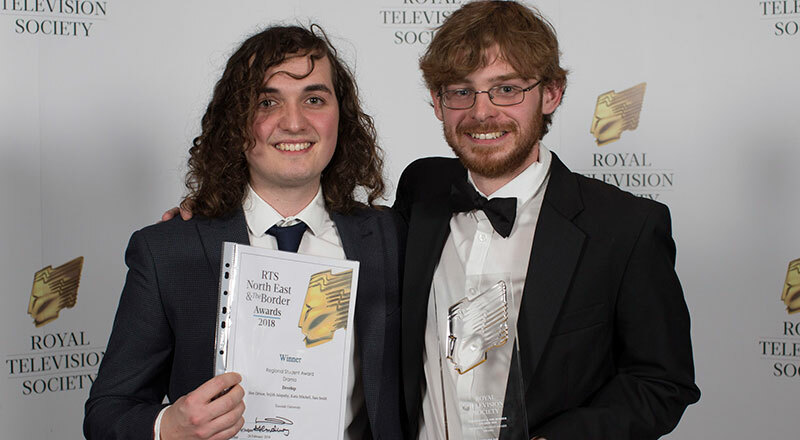 Teesside University students scooped four out of the five student awards at the RTS North East and Boarder awards.